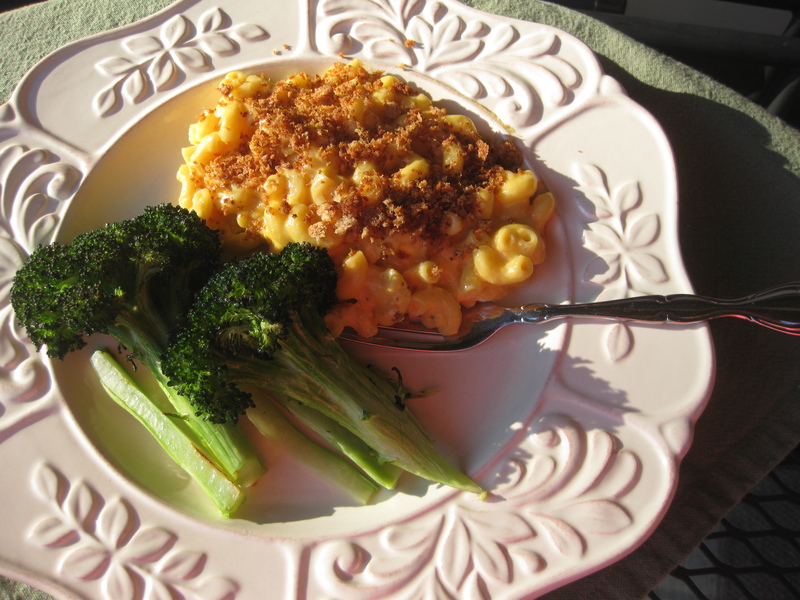 This is an entry into the America’s Test Kitchen ‘Dish it Your Way‘ challenge for Macaroni and Cheese. If this round is like the others so far, I’m looking forward to checking out all of the other entries! Great stories and good looking recipes. I never did like grocery shopping with my mom, so I usually hung out at home or in the car. In college I lived on campus and ate in the dining rooms. So, I had a lot to learn when I headed to grad school and had to start feeding myself. Let me tell you about some of my earliest experiences grocery shopping on my own. Other than the initial stock up trip with my dad before he left to go back to NY, I also had the unique challenge of having to ride the bus to the grocery store. It came and went once and hour, so my shopping trips were on a time limit. I can’t tell you all of the many times I had to call my mom (though she probably can) to ask about this, that or the other thing. She got used to my Saturday morning phone calls asking if I really needed to buy the $4 container of coriander to use 1/4 teaspoon in a recipe. Or if I could substitute orange juice for fresh oranges, for example. I remember one particular phone call I had to make not too long after I settled in. I was making something with cheese (macaroni and cheese with broccoli, if I do recall) to feed me for the whole week. I stood in front of the array of cheeses eying them for the best deal on the pre-shredded cheddar (my how my tastes have changed. My bargain hunting? Not too much!). Three minutes later I was still standing there, getting increasingly dumbfounded. How could they not sell cheddar cheese? I mean, I knew there were regional differences, but this was CHEDDAR cheese we were talking about. I started going row by row, and when I got to the end I could not believe they did not have it. There wasn’t even an empty spot where it might go! A quick glance at my watch and I knew I needed to hurry. 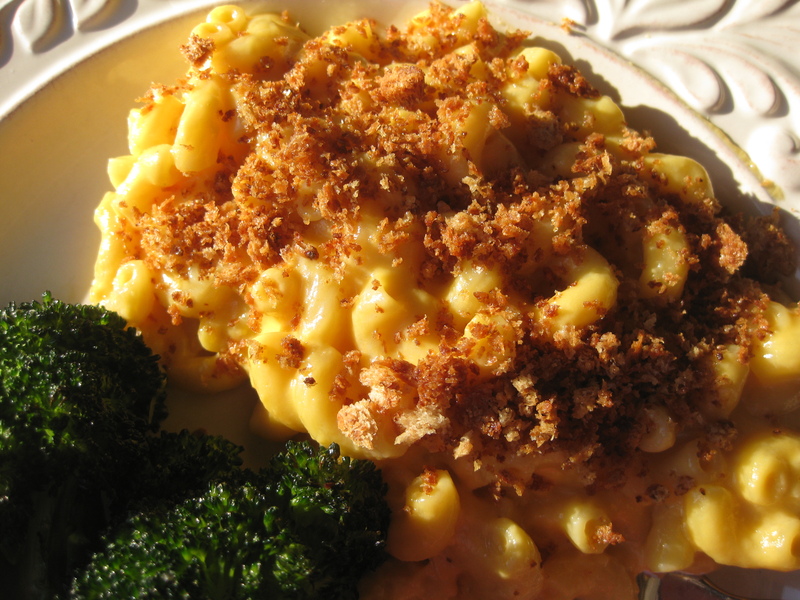 The bus would be coming, and without cheese my macaroni and cheese wouldn’t be, well, macaroni AND cheese. Not finding any store personnel around me I picked up my phone and dialed. Me: Uh, mom, don’t they eat cheddar cheese in Indiana? Mom: Well, I would think so. Why? Me: I can’t find it anywhere. I’m in the store and I’ve looked over every cheese they have. It’s nowhere [doing another once over of the racks]..to be….found. Me: No, there’s not even a spot for it! Wait [catching something with my eye]! Is this it? Me: Um, I think I found it. But, it’s….orange. It says it’s cheddar, but is cheddar supposed to be orange? Mom: Well, it can be. Me: I thought it was supposed to be white. It’s white at home, isn’t it? Or am I going crazy? Mom: It is white here, but I’ve also seen it orange. Looks like it’s orange where you are. Me: But that’s weird! Well, I guess I’ll have to get this. Gotta go catch the bus! I wish this wasn’t a true story. That it didn’t take me an inordinate amount of time to find cheddar cheese in the grocery store. That I was cultured enough to know that some people eat white cheddar and others eat orange. But it is true. It is true that I have never been more confused in the grocery store than I was that day. It was like I was going completely crazy. I could not, for the life of me, find the cheddar cheese because it was a completely different color than I would have expected. Apparently in the Midwest they’re used to their cheddar being orange. They actually DYE it orange. But to me, cheddar is white. After 5 years here I’ve gotten a little more used to it. Orange cheddar is the norm and white cheddar is a treat. However, I still have a hard time adjusting to how some dishes look. 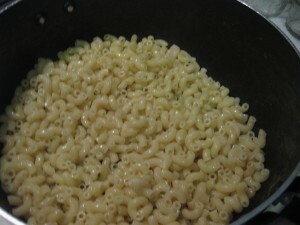 I always look at macaroni and cheese expecting it to be a creamy, milky white. I find myself doing a bit of a double take when it has the orangey tint. Then I remind myself that looks are only a small part of it. What really matters is the taste. And thank goodness, the Midwest doesn’t mess around with the taste of my beloved cheddar. 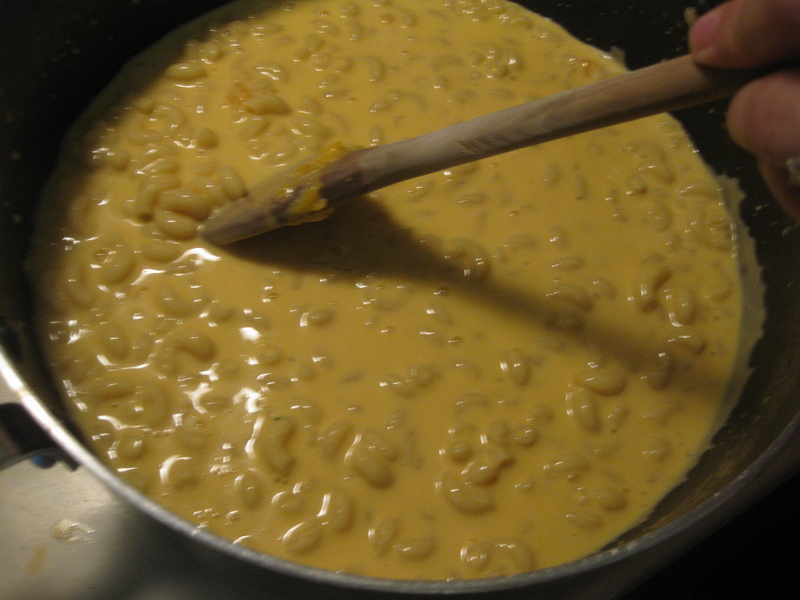 If I close my eyes and take a bite, it’s still the creamy, milky macaroni and cheese I know. Serves 4-6 as a main dish – I would have had a hard time eating 1/4 of it in one sitting! 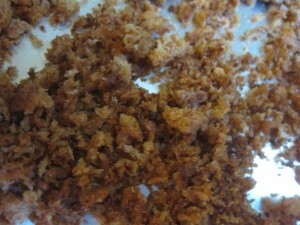 Notes: While I was skeptical that the bread crumbs would actually be worth it, they were a nice touch. If you don’t have them (we had some hanging out in the freezer randomly), CI says you can crumble saltines over individual servings instead. This was incredibly rich and probably would be most well suited to a side dish. Though it tastes great left over, it doesn’t look that way. It separates quite a bit and loses its creaminess. If you’re looking to impress, you’ll definitely want to make it right before serving. Finally, this was a little dish intensive for my liking, but there’s not really any way around it unless you avoid the breadcrumbs (or try this skillet recipe from Cook’s Country instead!). Meanwhile, mix together eggs, 1 cup of the evaporated milk, Tabasco, 1/2 t salt, pepper and the mustard mixture until combined. When water is boiling, add 1 1/2 t salt and the pasta. Grate the cheese (pre-grated cheese is not preferred in this case since the anti-caking coating will prevent creaminess). Cook the pasta until it still has a bit of a bite and drain. Return to your pan over low heat and add butter, tossing to melt. 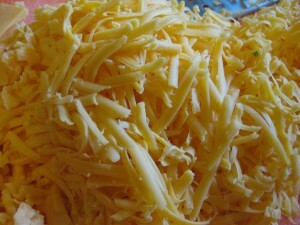 Add egg mixture and 3/4 of the cheese. 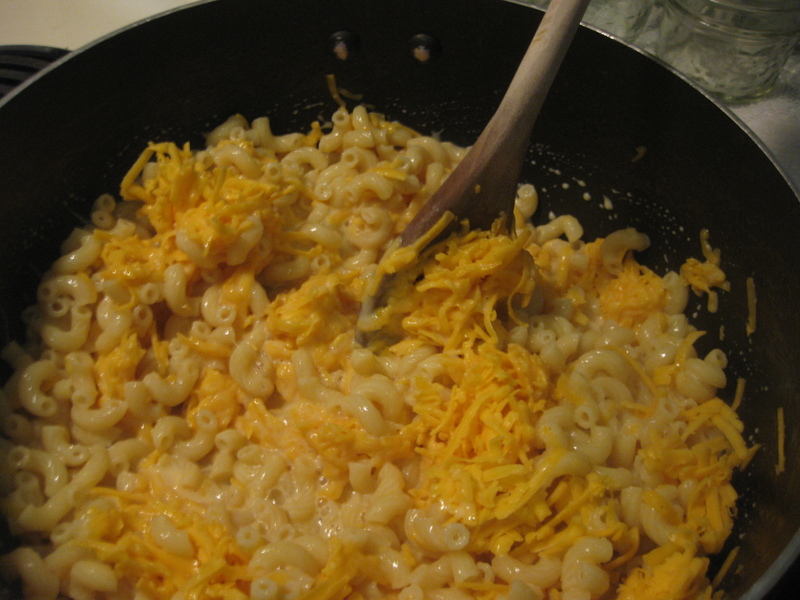 Mix until until thoroughly combined and cheese starts to melt. Gradually add the rest of the milk and the cheese. 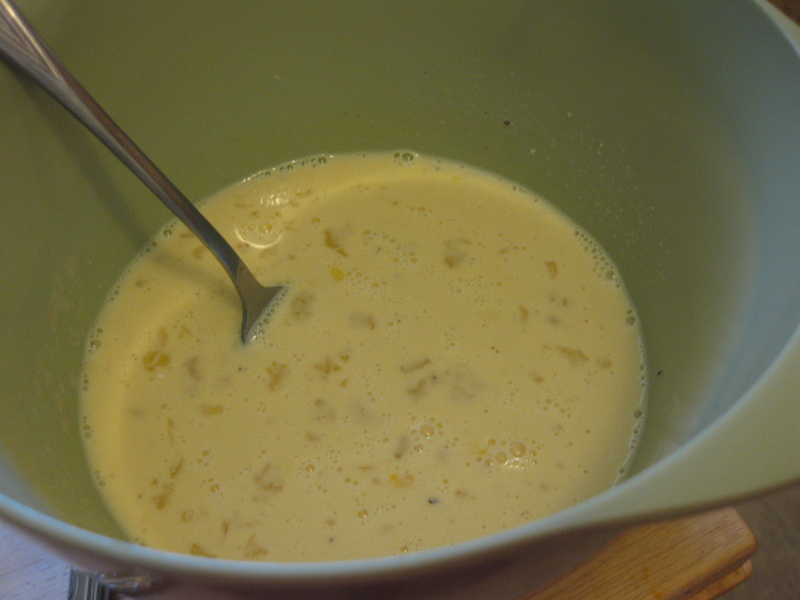 Stir constantly until it is creamy, about 5 minutes. We found that our heat wasn’t quite enough at low, so you may need to turn it up some. 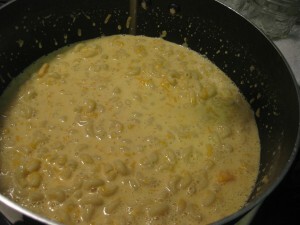 You should see it gradually go from soupy… to thick… and finally to creamy [almost a Velveeta texture!]. If you don’t see it changing very quickly, turn it up. But be patient, it will get there! Sprinkle breadcrumbs over individual servings and serve. Sidenote: Apparently the orange color comes from a natural food dye called annatto. I read on the internet that they started dyeing cheddar to mimic the variation in color of cheese made during different seasons. In the spring and summer the milk from cows was tinted yellow due to more nutrients in the grass they ate so they wanted to give that impression year round. It was found on the internet so it should be true, but Wikipedia didn’t confirm it. That means the verdict is still out. Suzi never appreciates it when I suggest that east-coasters bleach their cheese to make it white.